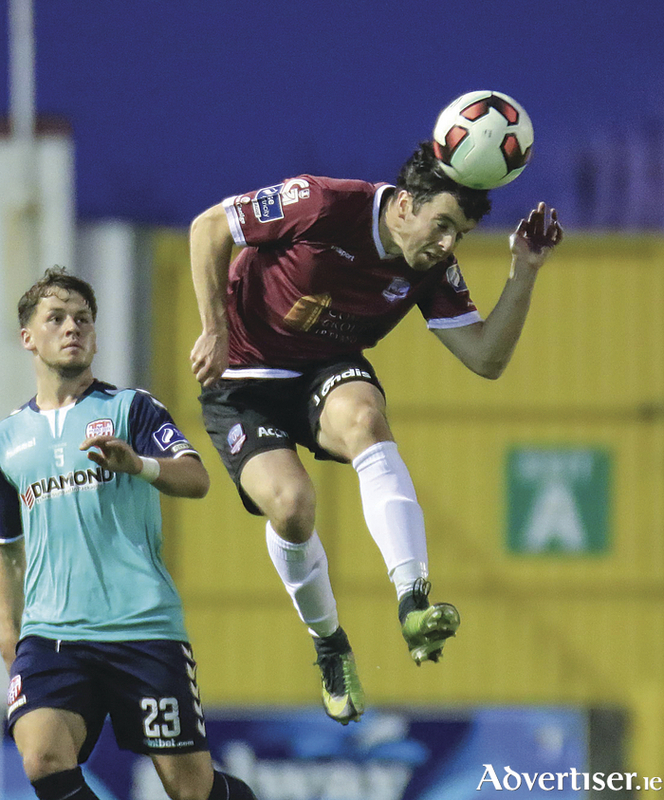 A critical SSE Airtricity League premier division relegation battle is scheduled for tomorrow evening when Galway United face Sligo Rovers at Eamonn Deacy Park (7.45pm ). Last Friday goals from Kevin Devaney and Stephen Folan secured a vital victory for United over Derry City, and now Shane Keegan’s charges host the Bit O’Red at the Dyke Road venue. Following their disappointing FAI Cup quarter-final exit to Limerick FC, Keegan was thrilled with the gutsy response from United’s pumped up players. “When you lose a game inevitably supporters might doubt their team a little bit, but I would argue it is almost impossible to doubt the mental strength of this team,” Keegan says. “Readymade excuses are there for us, the loss of Lee Grace, some of the refereeing decisions, the injury loss of Jonah Ayunga. We have so many readymade excuses for the lads to say 'this is why it all went wrong'. Keegan was an interested spectator at Finn Park in Ballybofey on Saturday when Sligo Rovers, aided by a goal from former United striker Vinny Faherty, defeated Finn Harps. “It is an important game and I can't appeal enough to supporters to be as loud as possible on the night,” Keegan states. “I appeal to supporters to get there as much as they can in numbers. I was in Ballybofey and the Sligo support was big in numbers and loud in voice. We have to make sure that we aren't outvoiced by opposition supporters in a home game, it is a massive, massive game. David Cawley, Gavan Holohan, and Rory Hale made a rich contribution against the Candystripes according to Keegan. “Every one of the games are huge from here on in, so it is fair enough to say the ones against the teams in and around us in the table are six pointers; they have extra significance,” Keegan says. “Our league form is very good, we weren't happy with the performance against Limerick in the FAI Cup. In a strange way the Limerick performance could be the best thing that happened because we had a deep enough chat and conversation after about why we were so poor. We said to ourselves that if it happened against Derry we could say good luck to the premier division. “It has refocused everybody and given everybody a shake that it just wasn't good enough. We were really looking for a massive response, I thought we got that. A similarly dynamic display will be necessary from the Tribesmen.